(June 18, 2018) Due to the great interest, Azmont Investments is announcing that the new deadline for applying to Azmont Scholarship Program is now 24th June. 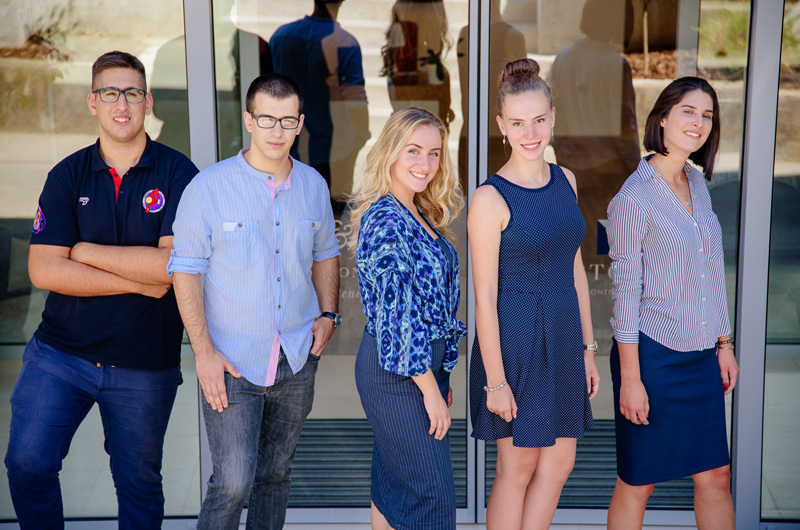 All candidates have the right to apply where five future students will have a chance to win a full-funded scholarship for the International Hospitality and Management studies at the Faculty of Culture and Tourism of the University of Donja Gorica - Bachelor diploma. The scholarship is currently awarded with the value of 2,400 EUR per school year, where in total 7,200 EUR per a scholar. This year, Azmont Investments will provide 36,000 EUR for five successful scholarship holders. The scholarship lasts for three years and it applies only to the International Hospitality and Management of the Faculty of Culture and Tourism of the University of Donja Gorica. The program is implemented through the license of French Vatel School which was recognized as the highest-quality school in the field of international hospitality and management for the year 2016. Upon completion of the academic studies, Bachelor and/or Master’s program, scholars will receive a national and EU diploma from this International school. In addition, scholars are to be offered a position within Azmont Investments projects, i.e. Portonovi Resort. “Due to a big interest shown for applying to Azmont Scholarship Program, Azmont Investments has extended the deadline for applications until 24th June. By giving a chance to young people to win a scholarship for International Hospitality and Management studies, licensed by French school Vatel, Azmont Investments is contributing to a working sector in high tourism that will put Montenegro on a global touristic map”, said the Marketing and Communications Manager in Azmont Investments, Adrijana Husić. All high school graduates who wish to pursue their career in the field of international hospitality and tourism are eligible for applying for the scholarship, while special advantage will be given to students from Boka Bay and Herceg Novi. Establishment of the International Hospitality and Management of the Faculty of Culture and Tourism of the University of Donja Gorica will be beneficial to the whole tourism industry and thus Azmont Investments invite other companies to join the long term investment in education and support development of human resources. Additionally, this prestigious program seeks to assist educational and hospitality development in Montenegro by preparing the next generation to build their own future in the international tourism and hospitality industry. Throughout studies, students will learn how to apply their theoretical knowledge in practice. 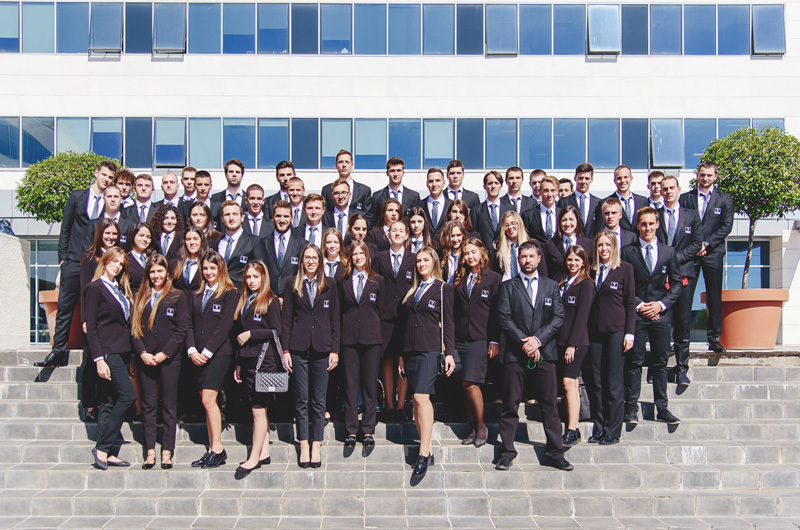 Additionally, apart from gaining practical skills in some of the best hospitality institutions in Montenegro, our students will also have the chance to develop their abilities in USA, Spain, Estonia and Greece where their knowledge will receive highest-level standards. Upon completion of the academic studies, Bachelor and/or Master’s program, scholars will receive national and EU diploma from this International school. In addition, upon completion of studies, scholars are to be offered position within Azmont Investments projects, i.e. Portonovi Resort. Established partnership between Azmont Investments, UDG and Vatel brings Vatel international training based on the balance between theory and practice to Montenegro. This double degree program, Montenegrin and European will benefit to students who intent to work in the hospitality industry. Vatel and UDG aim to train to the international hospitality standards the future operational and executives managers for the Montenegrin Hospitality and international industry. Upon completion of the academic studies, Bachelor and/or Master’s program, scholars will receive national and EU diploma from this International school. Azmont Investments is a Montenegro based company committed to apply its most adequate resources to achieve its mission: to create an efficient and sustainable investment portfolio focusing on accountability, environmental sustainability and corporate social responsibility. Azmont Investments is an investor, with clear vision and ambition to be a world class company that is bringing to life an exclusive world-class mixed-use lifestyle resort as Portonovi is. At the end of 2015, using vast expertise of its founders in financial sectors and potential growth opportunities in Montenegrin bank sector, Azmont has decided to make another step and enter financial sector by establishing Bank in Montenegro.